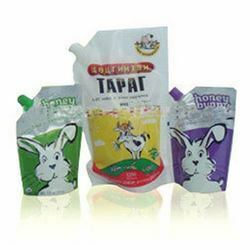 Leading Manufacturer of spout pouches, central seal pouches, pesticides packaging pouches, zip lock pouches, seeds packaging pouches and printed pouches from Hyderabad. Available with us is a range of Spout Pouch that is primarily a transparent, opaque and metallized / metallizable stretch film that has internal molecular strength and elasticity, with no molecular distortion during succeeding operations that makes it a highly prefered choice of our clients. 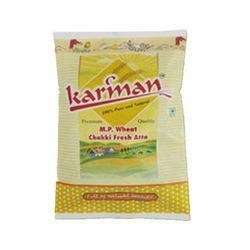 We are known for offering a quality range of central seal pouches that is manufactured using high grade raw material. These are available in various sizes as required by our clients for the storage of various items. 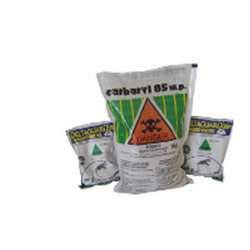 Our range of central seal pouches can be availed at industry leading prices. Pesticides are extremely reactive and poisonous by nature and thus, their proper packaging is of utmost importance. Available with us is a unique range of Pesticides Packaging Pouch that ensures that the pesticides are packed in a safe manner with properly sealed ends. 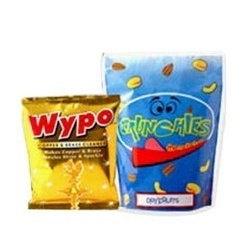 As a well known manufacturer, we are engaged in manufacturing and supplying premium quality of Zip Lock Pouches. Our products are available with re-seal facility that can be used again and again. These products are especially designed to store pet food and dried food. With these products, clients can maintain the nutrition value and freshness of foods. 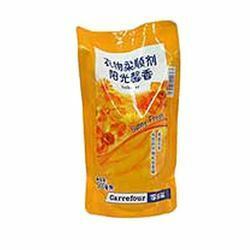 With the latest technology, we are engaged in manufacturing and supplying superior quality of Seeds Packaging Pouches that preserve the smell and flavor of seeds. 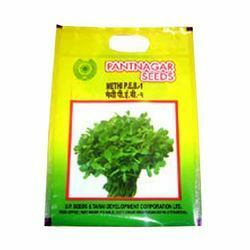 Our products find its applicability in packing various seeds such as fruit seeds, herbal seeds, vegetable seeds, oil seeds and crop seeds. We offer these products in variety of colors, designs and patterns. With these products clients can safely transport their products from one place to another. Our products are presented in various packaging materials such as poly pet, pet, foil and poly. Printed Pouches are manufactured and supplied by us. To manufacture these products, we are using rotogravure printing machine that can easily identify 7 colors. Our team is experts in printing on PET, LDPE, BOPP (opaque and natural), CPP and glassy poly. Through effective use of VOC control, adhesive and ink will not print on other material. 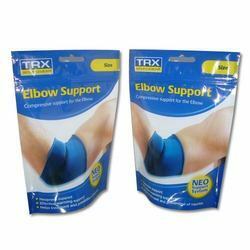 As a well know manufacturer, we are engaged in manufacturing and supplying superior quality of Stand Up Pouches, which are manufactured using high grade raw materials. We offer products that fulfill all the norms of international quality standard hence they provide maximum safety to the products. These products are ideally designed for food, powder, coffee and grain. Modification of our products is also done by us in terms of colors and designs. 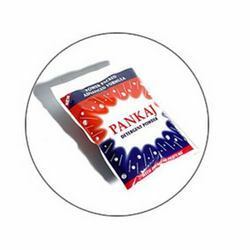 Our expert team is engaged in manufacturing and supplying premium quality of 3 Side Seal Pouches that have carved its niche in the market. We present these products in various attractive designs, patterns, sizes and styles that attract the attention of the buyers. These products are ideally designed for food products and they can be customized as per the structure, shades and sizes. Looking for Pouch Packaging ?